Soak moong dal and urad dal together in plenty of water for 4-5 hours. Drain excess water out of it completely and grind them with ¼ cup water to make a smooth batter. Take it out in a bowl and add other ingredients. Whisk the batter for a while and heat a flat non-stick griddle on the other side. Brush the surface with few drops of oil. Spread a dollop of batter on a pan and cook it for nearly 3-4 mins. Flip it around and cook for few more mins till you find brown spots on both the sides. Transfer it to a serving plate, spread crumbled paneer over it and sprinkle a pinch of chat masala on paneer layer. How to prepare Rajasthani Panchmel dal? 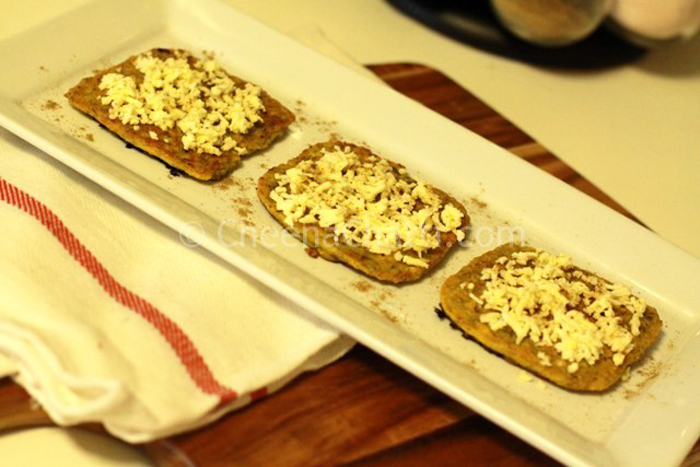 This entry was added on September 11th, 2013 by SJ in Starters and Sides and tagged with evening snack, vegetarian, pan cakes, moong dal recipe. Last revised on March 29th, 2018.